Rejuvenation Science® is proud to be affiliated with these important and generous individuals who have agreed to provide their valuable time and knowledge to enlighten our world. 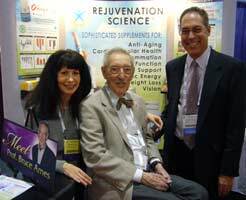 In December, 2010, and again in December 2011, Rejuvenation Science®sponsored Professor Bruce Ames at The American Academy of Anti-Aging Medicine (A4M) Annual World Congress on Anti-Aging and Biomedical Technologies in Las Vegas. Professor Ames presented hisTriage Theory of Agingin a presentation titledA Diet for Health and Longevity: Micronutrients, and in 2011 he presented an update titled: Prevention of Age Associated Disease by Optimizing Micronutrient Intake: Triage Theory. Dr. Bruce Ames is Professor of Biochemistry and Molecular Biology, Emeritus, University of California, Berkeley, and a Senior Scientist at Children’s Hospital Oakland Research Institute. He is a member of the National Academy of Sciences and he was on their Commission on Life Sciences. 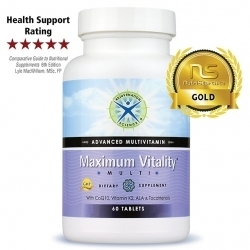 TheTriage Theory of Aging provides an ideal argument for recommending a sophisticated multivitamin such as Rejuvenation Science®top-rated Maximum Vitality®multivitamin and our adjunctive Vitamin D3K2formula. A summary of Professor Ames presentations may be found here. During lunch in January 2016, Professor Ames told me about his newest work introducing longevity nutrients. 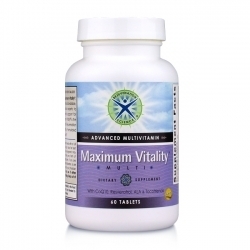 He and Giovanna were impressed that most of the longevity nutrients are in Maximum Vitality. Here is a very informative interview with one of his colleagues, Rhonda Patrick, PhD. .
Rejuvenation Science® invited Professor Madalene Heng, MD to speak at the 2011 American Academy of Anti-Aging Medicine (A4M) 19th Annual World Congress on Anti-Aging and Biomedical Technologies in Orlando, FL. Dr. Heng spoke for us previously at A4M in 2009. On April 9, 2011, UCLA School of Medicine Clinical Professor, Madalene Heng, MD presented "Curcumin-Targeted Signaling Pathways: Basis for Repair of Burns & Photoaging Skin." Concluding with a series of clinical before and after photos, Dr. Heng showed rapid repair with perfect regeneration in both acute injury (burns) and chronic injury (photodamaged skin). 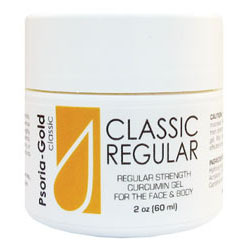 PsoriaGold, developed by Dr. Heng provides the patented formulation used in her clinical work. 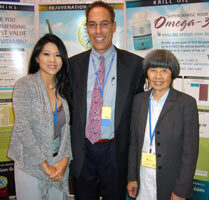 Accompanied by her daughter, Siang, Dr. Heng joined us for two days in the exhibit hall. 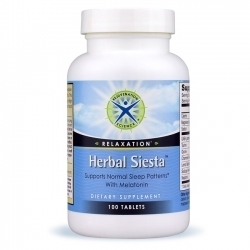 She provides email consulting to our physicians to assist them treating a variety of skin conditions using PsoriaGold (curcumin gel). Dr. Mitch Ghen is a fan and has used the product in hundreds of laser procedures to avoid pain after treatment. A summary of Dr. Heng's presentation may be found here. 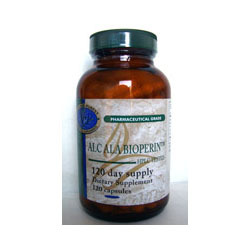 Rejuvenation Science® extended an invitation to our raw material supplier Aker Biomarine to coordinate a speaker at the 2011 American Academy of Anti-Aging Medicine (A4M) 19th Annual World Congress on Anti-Aging and Biomedical Technologies in Orlando, FL. On April 7, 2011, Professor Vincenzo Di Marzo presented "Effects of Krill Oil Supplementation on the Endocannabinoid System." 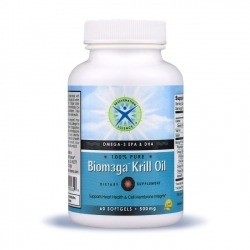 He discussed how krill oil benefits fat metabolism. Concluding with his recent unpublished study, Dr. Di Marzo discussed how prolonged dietary krill oil lowers plasma anandamide and TG levels in obese human males. Body measures included a 3% reduction in: abdominal fat, waist/hip ratio, and total body fat, accompanied by a 1% increase in muscle mass by the end of this 24 week study. 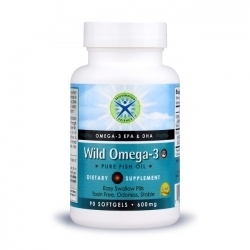 Rejuvenation Science® Biom3ga™ Krill Oil provides the exact formulation used in this human study. 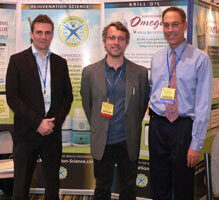 Also joining us was Kjetil Berge PhD, Research Director, Aker Biomarine, Norway. A summary of Dr. Di Marzo's presentation may be found here.